Uglyworld #2162 - A Years Supplier - (Project Cinko Time - Image 359-365), a photo by www.bazpics.com on Flickr. Talks about a super mega awesomers Christmaser, nots only dids I get all kinds of cookies from Baz, Mireille and all of my buddies here in the cookie cave, but I also winnereds a competitioner! 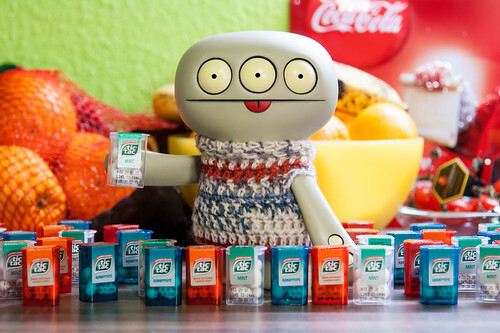 A years supplier of tictacs, checkers them out, holy crapstickers, they givereds me so manys of them that I thinks I will have enoughs for the nexts year and also have plentys left over to gives out to my buddys! Merry Christmasers everyone outs there in internetsland!